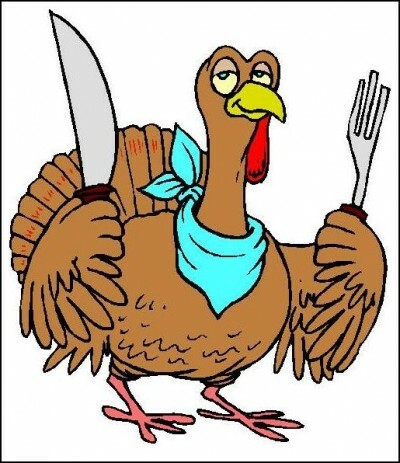 Cannibal turkeys are disturbing…Happy Thanksgiving! Happy Thanksgiving to all my fellow US compatriots! May your plate be overflowing with turkey, stuffing, mashed potatoes and…I have to stop now because I just drooled on my keyboard and almost caused an electrical fire… but you get the idea. For more details about “Calvin Cobb: Radio Woodworker!” including how to order your copy (hardbound or digital) visit Lost Art Press, order your hardbound copy by November 29, 2014 and you’ll get free domestic shipping. Quite possibly as an enticement to get you to pickup your own copy, Lost Art Press convinced Roy to record his favorite chapter from the book. According to Chris Schwarz “we asked him to take a few minutes this week to read one of his favorite chapters from his new novel…Roy lit a fire, fired up the laptop and recorded this short 7-minute chapter for you to enjoy. Roy Underhill Reads from ‘Calvin Cobb’ from Christopher Schwarz on Vimeo.